Well first off I LOVE PICKLED BEETS! It has everything to do with bees, because several years ago my wife converted from sugar to HONEY for beet canning and it improved the product immensely. I try to limit refined sugar intake as a part of my diet because I think it is every bit as bad for humans as it is for bees. For those who have never canned before, beets are by far the most labor intensive, tedious, and messy canning procedure that we take part in. They are also one of our favorite little treats throughout the winter. The beets need to be softened by boiling them for 20-40 minutes. There is no exact timing, this is real cooking, things are done “when done”. Each beat is tested with a fork to ensure that they have reached a proper softness. They should feel similar to a potato when done cooking, perhaps a little bit more firm. 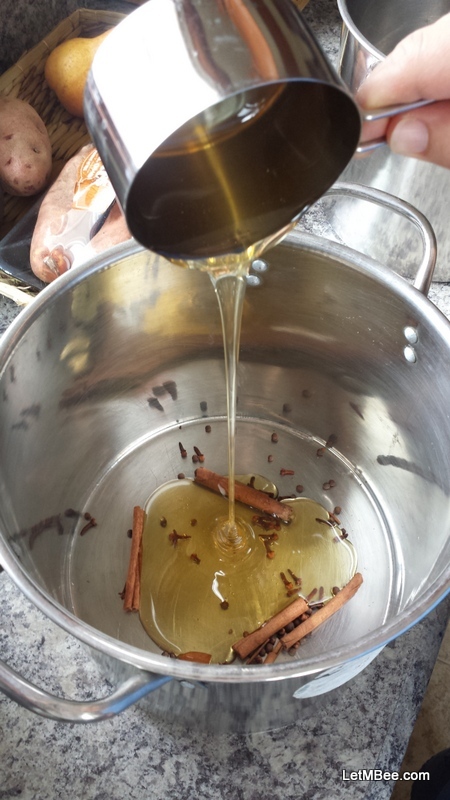 At the same time that this is boiling a mixture is made using water, cinnamon, cloves, vinegar, and in our case HONEY. As per this recipe Holly substitutes about 1 cup of honey for 1 cup of sugar. This is brought to a boil then simmered for a time. The beets are then skinned and chopped into cubes and added to this simmering mixture. 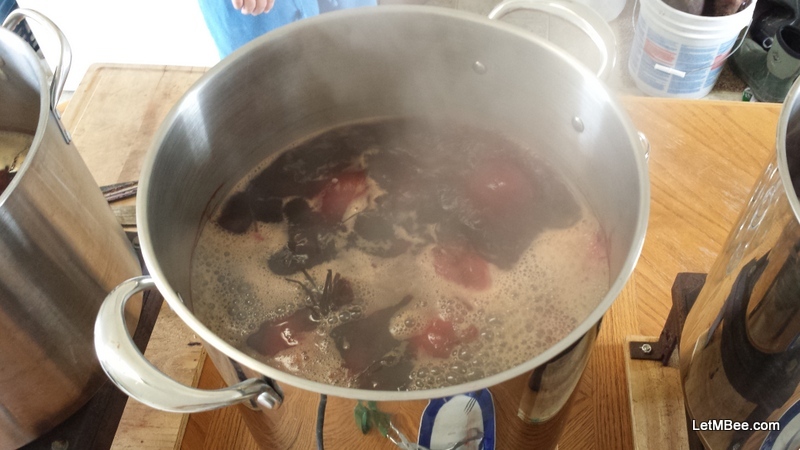 The beets in the liquid are then brought back to a boil. They are then placed into the jars and the liquid mixture is ladled over them so the jars are filled to within ½ inch of the rim. At this time the lids and bands are put on. Processing time is 30 minutes for pints in a water-bath canner. For what you get it is a lot of work, but it’s totally worth it! When doing all this ladling watch it. Beet juice will stain things if you don’t clean it up right away. The recipe we used this time is based on the one in Ball – Complete Book of Home Preserving. 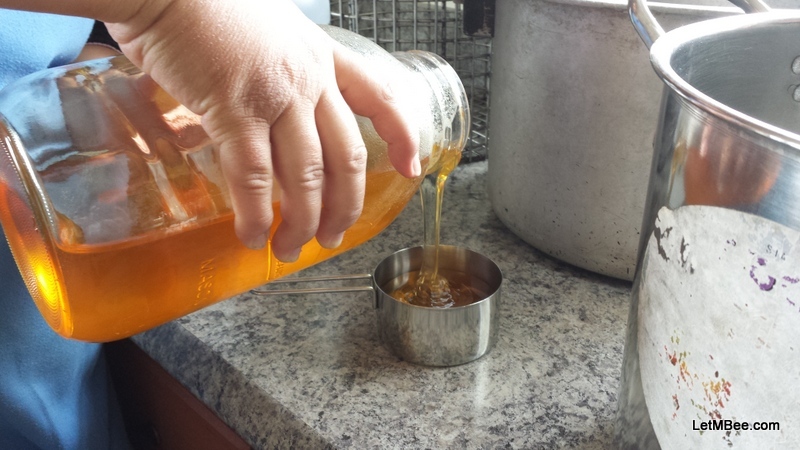 This is the only canning recipe we used to add sugar to and I am glad Holly converted it to honey for me. The results are excellent. Try it… you like it. What are you using your honey in? Also if anything is unclear drop me a line…. This entry was posted in Honey, Posts and tagged Indiana Beekeeping, treatment free beekeeping. Bookmark the permalink. Good to have you active again you must have finished your house. My wife and I have a lot of beets this year and we were planning on pickling some. This recipe has come at the right time. The only thing I will change is the water bath processing. It is unnecessary because that is why you add the vinegar. Also We’ve had a great 2nd year beekeeping and pulled in a couple hundred pounds of honey off our 2 packages we installed last spring so using honey instead of sugar will be no problem. 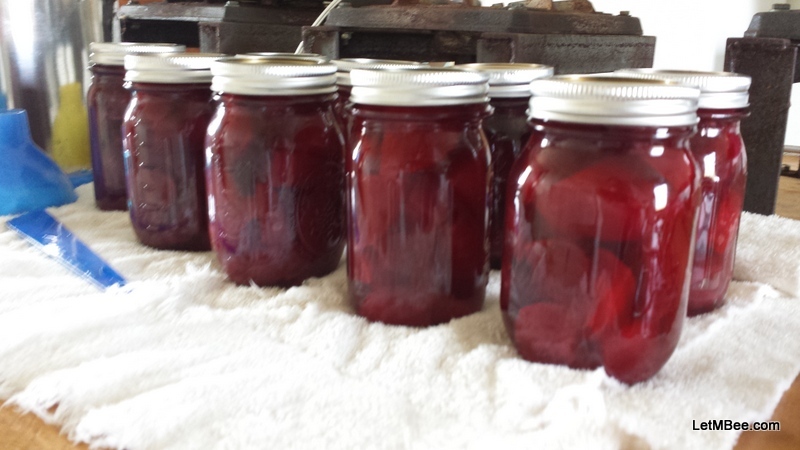 I have always done the water batch canning method after making up the beets. That’s the instructions I have. If you have another recipe let me know. Holly and I are always up for trying a new canning procedures. One of our best friends is an older lady that has been canning for 60 some years. She has given us several methods that I have never been able to find in a book. I know they work because she’s still alive!! 🙂 Like canning potatoes with the skin on or canning boiling fruit juice in half gallon jars without using a canner at all. Glad to hear that you got some honey. I have a lot of beekeeping friends in my area that got nothing this year. Holly has converted all our sweetening needs to honey over the last couple years. I have to come up with a considerable amount to last just our family every year now. It cuts into the profit margin, but it’s worth it. I think there is no healthier way to sweeten things than to use local treatment-free honey. 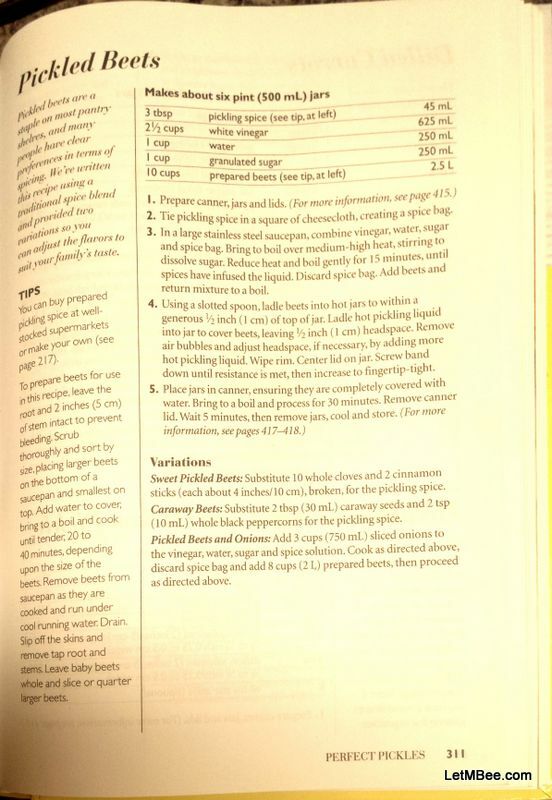 Most of my recipes in canning books mention the water bath method when pickling. But my family has never done it. We do use that method for things where we don’t add vinegar, like tomatoes and for low acid vegetables like peppers we use a pressure canner. I wonder if being in a more northern climate our pathogens might be different and the water bath is not necessary when pickling. When I was growing up my friends mother used to can sausages with just a water bath and one woman we knew used to can chickens by baking the jars in the oven.